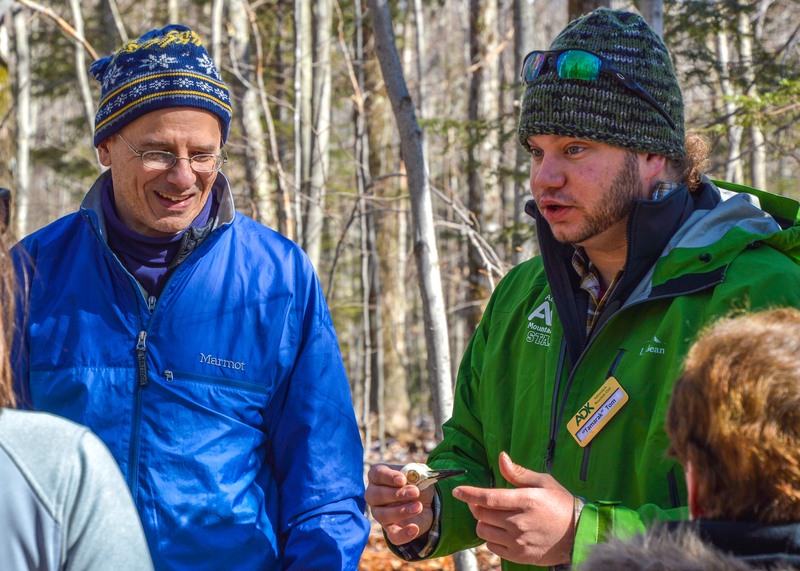 This winter ADK is teaming up with the Uihlein Foundation to offer free naturalist walks once a month at the Heaven Hill Trails just outside of the village of Lake Placid on Bear Cub Lane. Participants should meet at the Heaven Hill trailhead and be prepared for a 1-2 mile walk in winter conditions. Snowshoes or micro-spikes will be provided if needed. Community hikes are on the last Saturday of every month, start at 2pm, and are on the following dates: January 27, February 24, and March 24. ADK offers FREE, 1-hour presentations once a month at Heart Lake in the High Peaks Information Center. Lectures start are 8pm and are open to everyone. Cold and Culture: ADK’s Education Outreach Intern “Dirt” Danna Libbey explores the effect of long, cold winters on culture and community in places like the Adirondacks. Annie and Johnny Duet: Join us for an evening of beautiful vocals and harmonies that are blended into an eclectic mix of acoustic folk, torchy blues, bluegrass, gospel, early jazz and more! Moose, Winter Ticks, and Climate Change: Steve Hall of Adirondack Wildlife and Refuge Rehabilitation Center presents on the natural history of the modern moose, its place in the environment and challenges facing this animal. Presentation includes his own photographs of moose from every Canadian province, as well as Alaska and the Lower 48.